Pongpat Pongpradit graduated from the Faculty of Music, Silapakorn University and received a B. Mus with second class honors in Classical Guitar Major where he studied guitar with Prof. Vithaya Vosbein and in a Master's degree at the College of Music, Mahidol University in Music Performance Major (Classical Guitar) studied guitar with Prof. Suvich Klinsmith. He regularly perform in Intercontinental Hotel (Sukhumvit Rd. )and the Spanish pub and restaurant 'Tapas Y Vino', Grand Millennium Sukhumvit Hotel, record for T.V. advertising and film score 'Secret' directed and perform by Jay Chou. and is a member of "Maestro Music School" and teaches at Silpakorn University, Bangkok. 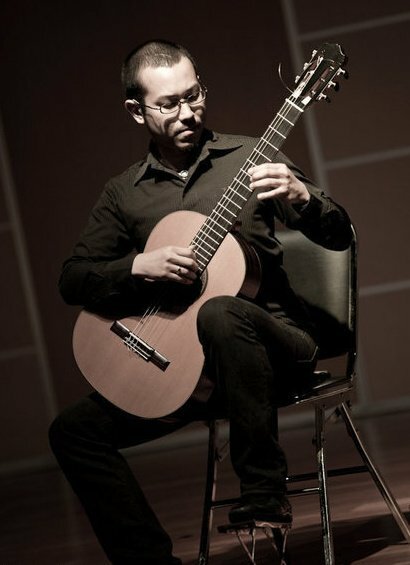 Since 2011 he is also staff of the Thailand Guitar Society.